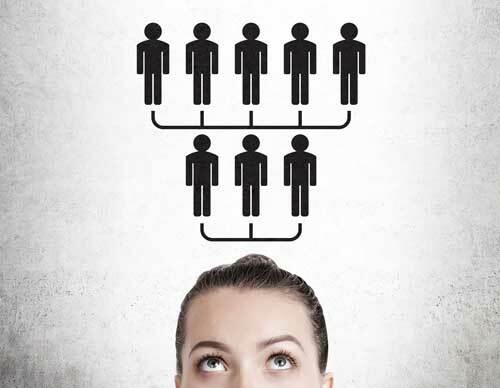 If a company is to be truly effective, the organizational chart should be upside down with the leader at the bottom. His or her role should really be to encourage, empower, and energize their team to perform at their best. In addition, they need to provide their staff with the proper resources, training, and coaching. A critical issue is that many leaders get bogged down with a multitude of things, including dealing with stockholders, monitoring competitors, etc. They then claim that they do not have the time to interact with employees at all levels. The best leaders realize that the front-line people are the ones that have the most intelligence about what is going on and can provide invaluable insight. They create an environment where everyone has a say and that each suggestion is taken into consideration no matter how “out of the box” it may seem at the time. It is also a “safe” place in which staff members are not punished for making a mistake, but instead are encouraged to view any mistake as a learning opportunity. Recently I conducted a workshop on business etiquette for a prestigious college. One person who works at the front desk of a department that both students and parents contact said that she gets asked the same questions over and over again. I asked her if there was a process that is listed on the website or somewhere else that she can refer people to. When she said there wasn’t, she realized that having this information on their website would be a much more effective way to handle this, and it would also give her more time to deal with more complex issues. Her boss was not aware of this issue, but I encouraged her to discuss this with him because he was revamping the department and was very open to hearing suggestions. A good leader should also recognize that he or she is not the subject matter expert on everything. By admitting they need counsel and are willing to seek advice, this provides an opportunity for others to speak up and develop professionally. When was the last time you asked for suggestions? Do you find yourself telling others what to do as opposed to coaching them, which would then empower them to find their own solutions? Other “E” words to ponder – excel, entrepreneur, evaluate, enterprising, efficiency, ethical, expand, empathy, engage, essential, and enthusiasm.